Mark Plotkin from Colgate University discusses the importance of taking ownership of the college soccer recruiting process. 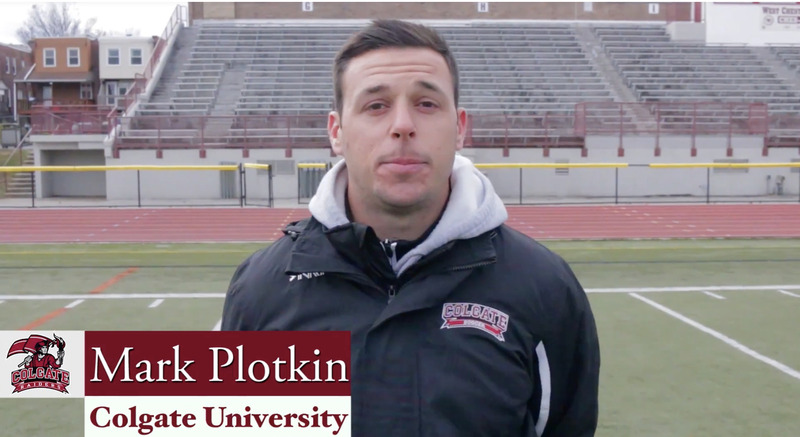 "My name is Mark Plotkin, I represent Colgate University. It's a Division I school up in central New York, we play in the Patriot League. My tip would be just to be proactive with the process and take ownership of it. Cause at the end of the day, we're coaching you for four years and have a relationship with, you know, far after college. It's not gonna be our relationship with your parents. It's going to be our relationship with you. Your parents are a massive part of the process, of course. They're gonna be helping with the process, but at the end of the day - we're going to working with you day in and day out for those four years. And our relationship with you is the most important thing. So you wanna make sure you're proactive and you're taking ownership of the process, because at the end of the day it's about you."